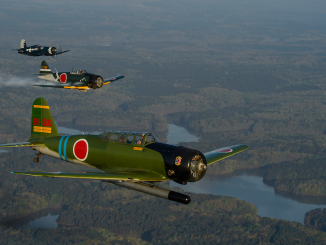 The Commemorative Air Force has published some interesting details on their blog recently regarding their operations in 2014. The article is an overview of the organization’s efforts put into numbers. As of 2014, The CAF is composed of sixty three units and six sponsor groups. There are also four international units located in Canada, Germany, France and the United Kingdom. CAF Wings are present in twenty five US states and feature twenty five museums. 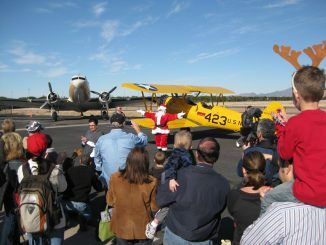 The organization owns 162 warbirds, making it by far the largest flying collection in the world. Nineteen of these aircraft are bombers, twenty eight are fighters, sixty one are trainers, fifteen are transports and thirty nine are liaison/other. 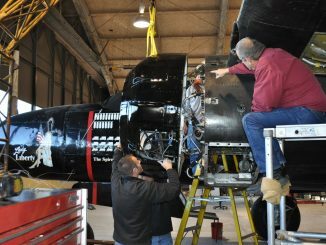 As of December, 2014, one hundred and twenty five aircraft in the fleet are in airworthy condition, seventeen are under restoration, eighteen in maintenance and just two in storage. This puts the active operational fleet at 77%, which is an impressive feat in the world of warbirds. If one were to include the CAF aircraft undergoing maintenance, which is usually relatively brief, then the operational status would rise to 88%; a very high percentage for any fleet of aircraft. In 2014, as of December 11th, CAF aircraft flew 5258.40 hours, gave 4,366 rides and completed more than 6,200 sorties. 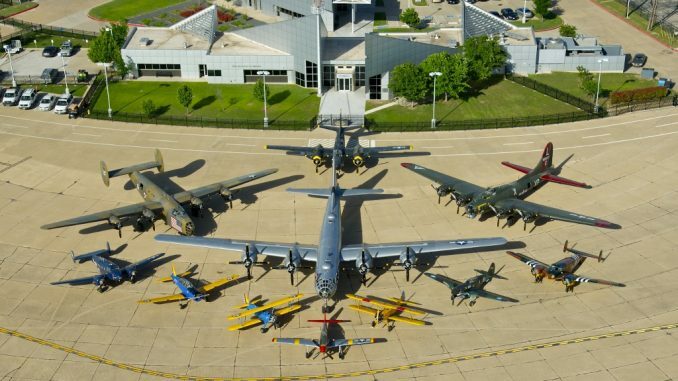 Many of these flights were performed by airplanes that are the last of their type flying; such as the B-29 Superfortres “FIFI” and SB2C Helldiver. 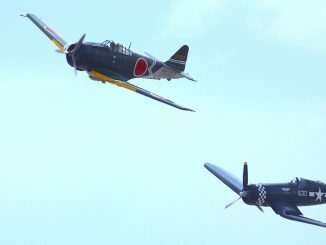 The CAF’s B-24 Liberator “Diamond Lil”, SBD-5 Dauntless, P-63 Kingcobra, P-39 Airacobra are each examples with just two of the type still actively flying. 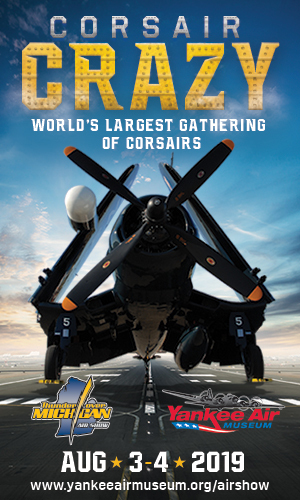 The CAF flew eight hundred air show sorties in 2014, organized eight aerial events and performed more than fifty fly-overs before hundreds of thousands of spectators. As one would imagine, the CAF participated in all of the major air shows in the United States. 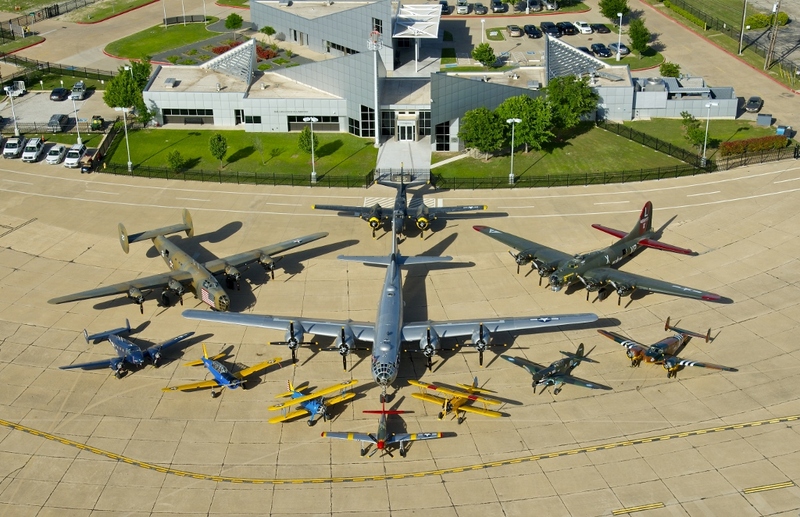 The CAF is easily the oldest, continually operated warbird flying collection in the United States, with only the UK’s Shuttleworth Collection pre-dating it on a global level. 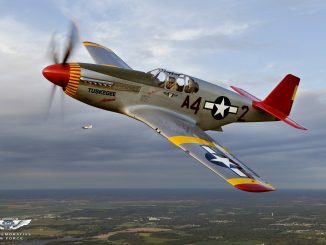 It all started from humble beginnings back in 1957, when Lloyd Nolen and four friends bought a P-51D Mustang, now known as “Old Red Nose”. 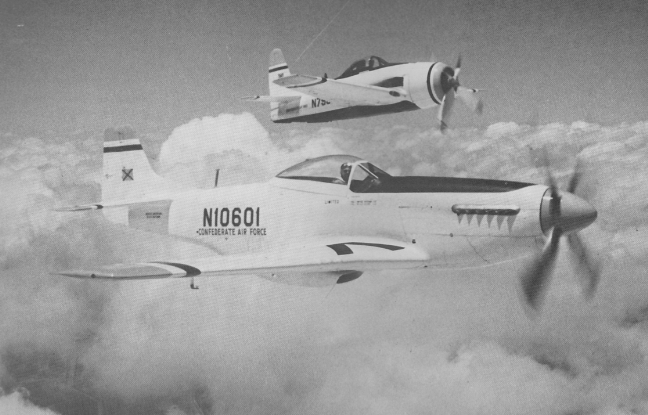 They bought a pair of Grumman Bearcats in 1958, and haven’t looked back since. The organization has grown rapidly since those early days, with occasional stumbles along the way, as with any organization. But it can be easily argued that without the massive efforts by the CAF and their millions of supporters, there would be far, far fewer vintage military aircraft surviving today, let alone airworthy examples. The following is a fascinating short film clip showing dating from 1957 showing the P-51D “Red Nose” at Harlingen, Texas, which later became the organizations headquarters for a while. 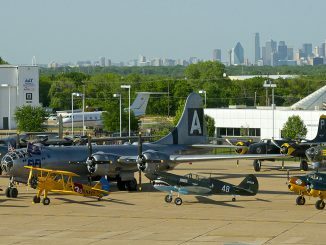 In April of 2014, the CAF announced they were moving their headquarters along with its associated aircraft to Dallas Executive Airport in Dallas, Texas. 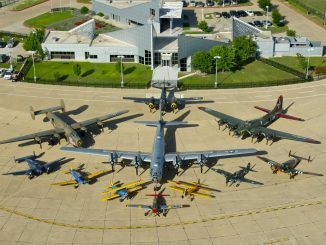 The museum and its artifacts (including the nose art collection) will also move to Dallas ( Click HERE for WarbirdsNews articles on this story). The move to Dallas should bring a lot more visitors to its new CAF National Airbase once construction is finished. The organization is firmly settling its future health and shows great promise for further growth. Excellent recap of the CAF’s contribution to the aviation community. Thanks for all you do to keep old war planes going. We were still flying P51 at Tyndall AFB in Florida when I was in the service during the Korean War. Keep up your good work. I have been following and supporting the CAF starting when it was known as the Confederate Air Force at Randolph Field, Texas. This support came naturally as my dad was the flight line foreman at the Glenn L. Martin Company in Baltimore, MD building the B26 Marauder. This was an outstanding article and I hope to continue supporting this “Air Force” for as long as I am around to do it. When I joined the USAF, it was only 9 years old and was still flying many of the birds you see at the CAF. Do you have a flying model of C-47? One of my brother-in-laws father used to fly “the hump” in that back in WWII. We was later a passenger pilot for Continental Airlines out of Love Field, and maybe Braniff Airlines, it has been a while, and my memory does not serve me well on this. I remember him complaining that the only armament was small arms aimed out windows and some only had rubber grommets in the window for pivoting of the weapon. As an old 92 yr. WWII veteran who flew 37 missions in B-17 with the 379th. Bomb Group at Kimbolton ,England in 1944 I strongly have supported the CAF for all its efforts to keep all these old war planes flying. I have had the opportunity to fly in two of the B-17 still flying. I am hoping to fly in FiFi as I was flying in B-29’s at end of WWII war. Many thanks for writing in Teddy, and of course for supporting the CAF as well…. but more importantly, thank you for all you did for us in WWII. We’d love to hear more about your service if you are willing to share a little.